From stodgy membership policies to hushed commentary, golf remains a sport muted and punctilious. But one look at the attire of The Masters’ top two finishers this past Sunday — Patrick Reed, in hot pink, and Rickie Fowler, in his signature construction-site orange — reveals the game’s attire has drifted closer to “Mashed potatoes!” than respectful applause. 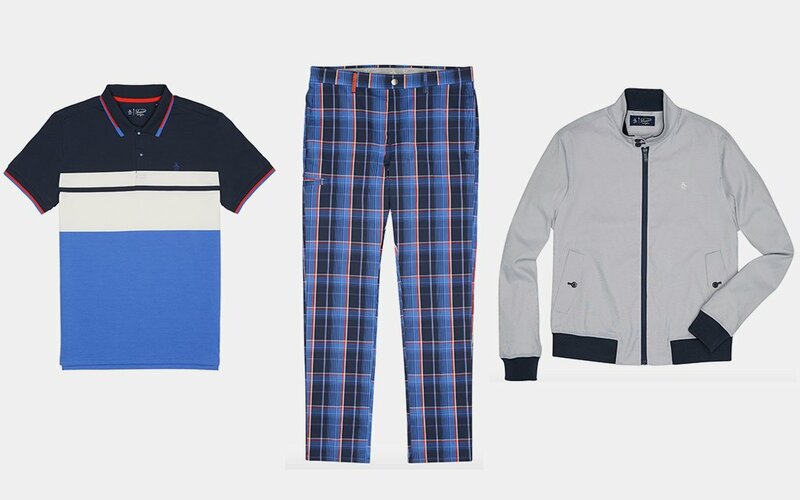 Cue the revival of Original Penguin’s golf line, now available for preorder, a fresh and decidedly eclectic collection of heavily striped polos, palm tree-printed shorts, tri-colored zip-up jackets and checkered pants. It’s a triumphantly wacky return from a brand that was actually a pioneer of on-course attire: their polos once hugged the shoulders of links legends like Arnold Palmer and Jack Nicklaus. Original Penguin came into existence in the late ‘50s after a stewardess purportedly wrapped founder Abbot Pederson’s necktie around a taxidermied penguin (lightbulb! ), and it wasn’t long before golf’s King was wearing the gear. The logo also found its way to the chests of Jack Nicklaus and Gary Player, not to mention those of midcentury crooners like Bing Crosby and Frank Sinatra. 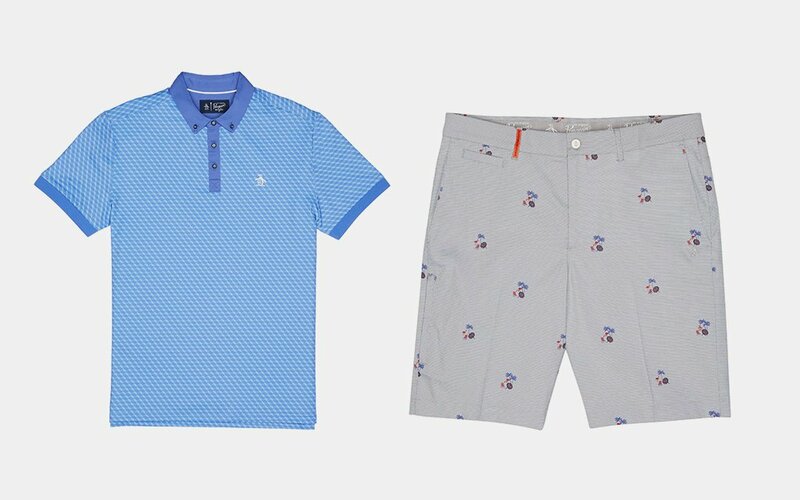 These new threads pay tribute to that hey day, with clubhouse-friendly patterns and cuts that figure to transition seamlessly from greens to backyards. The collection is less redux and more a full-scale renovation: gone are the tired looks that led them out of the tough industry in the ‘90s, replaced here with technical fabrics and colors that are thoroughly 2018. Channel Palmer in the morning and Sinatra in the late afternoon? Can’t argue with that.